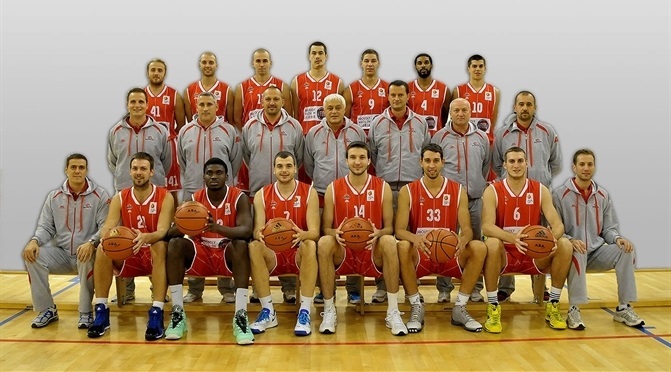 New and up-and-coming club from the basketball crazed Serbia, Radnicki Kragujevac is set to face its biggest challenge yet, making its Eurocup debut this season. Not even two decades old, Radnicki has made a huge climb since the turn of the century, establishing itself as a contender in the Serbian and Adriatic leagues. Radnicki is coming off an up and down season, however, reaching the Adriatic League final four for the first time ever where it lost in a thrilling fashion to Crvena Zvezda Belgrade 79-78. Radnicki also made it to the semis of the Serbian Cup, but missed the Serbian League playoffs. Club was founded in the city of Vrsac in 1994 under the name KK Kondivik. Its climb up the lower ranks of Serbian basketball leagues started immediately. It reached the First Serbian League in 2001, when it also changed its name to KK Lions. With a new name came even more success, as club was promoted to the higher division in each of the next three years, finally making it to the Serbian top flight in 2004. Carrying yet another new sponsor name, Swisslion Takovo, club spent its first year among Serbian best teams, but could not keep its status. However, team returned back to the top flight already in 2006, and has not been relegated again. After winning a place among the top eight teams in both Serbian League and Cup year after year, in 2009 club qualified to the Adriatic League after sweeping Vojvodina Novi Sad in the best-of-five qualifying series. It was already a great success for a 15-year old club, but there was a lot more to come. With the main sponsor leaving, and in order to continue growing, franchise decided to move to the city of Kragujevac and join the family of city's sports club named Radnicki. In the last four years since the big move, Radnicki played a significant role in the Adriatic League, regularly beating, home or away, its more prestigious opponents Partizan Belgrade, Crvena Zvezda Belgrade, Cibona Zagreb, Cedevita Zagreb, Union Olimpija Ljubljana and others. Radnicki also made it to the semifinals of both Serbian League playoffs and Serbian Cup each year. Last season, Radnicki made another step up, clinching a berth in the Adriatic League final four, but got its three-year streak of qualifying to the Serbian League playoffs snapped. The new season presents new challenges, and Radnicki has set the bar high, including making lots of noise in Eurocup, and give its home fans a chance to see how their team fares with some of the best in Europe.